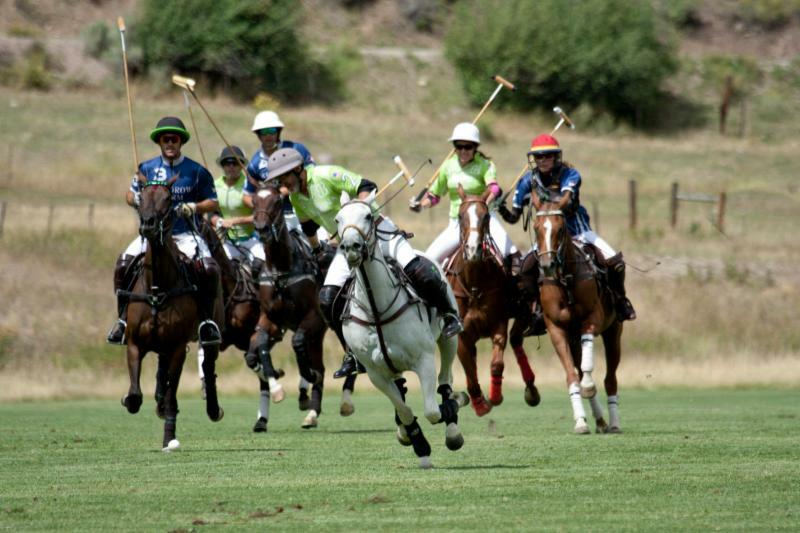 CARBONDALE, Colo., August 31, 2018---The stage is set for the Triple Crown of Polo Aspen Tournament Sunday at Aspen Valley Polo Club. Alejandro Novillo Astrada of Mandarina trying to avoid the hook of Stewart Armstrong of Los Amigos. 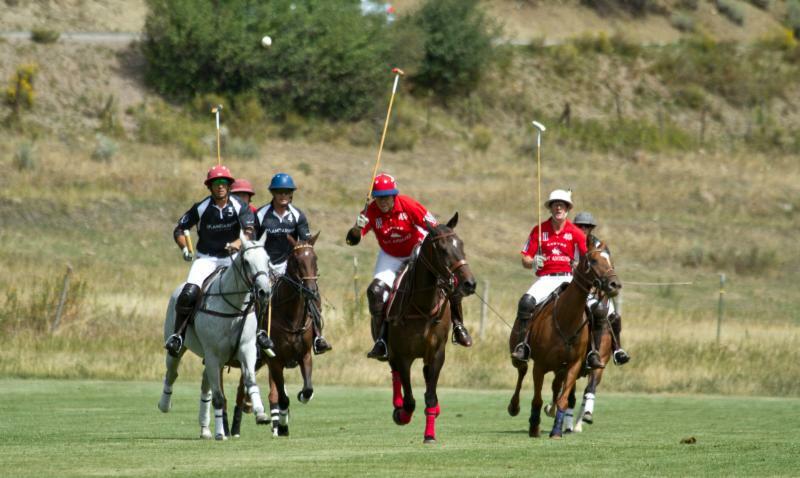 Mandarina (Sarah Magness, Melissa Ganzi, Alejandro Novillo Astrada, Juan Bollini) and Woodrow Farm (Leigh Brecheen, Marc Ganzi, Nic Roldan, Tano Vial) will meet in the final at 11 a.m.
Mandarina advanced into the final with a 7-5 victory over Los Amigos (Pablo Dorignac, Stewart Armstrong, Lucas Lalor, Paul Foster) at Sopris Mountain Ranch. Magness and Novillo Astrada each had three goals and Ganzi added one goal. Paul Foster of Los Amigos following his hit downfield. 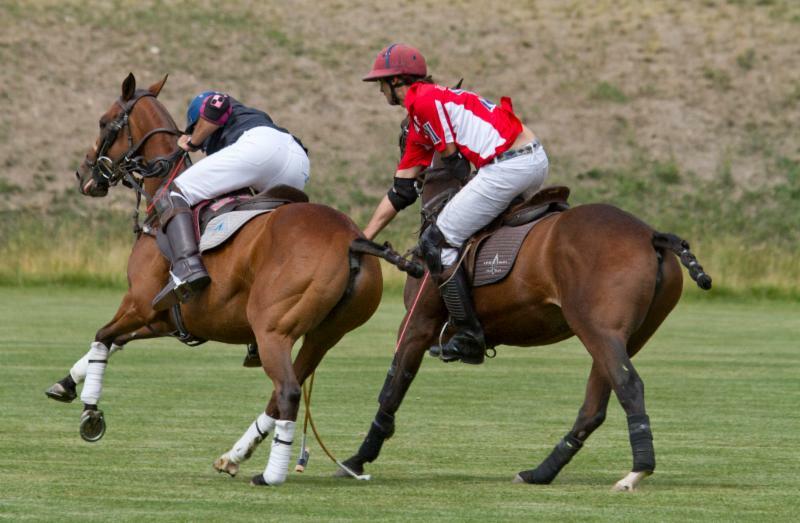 Mandarina, despite being held scoreless in the second, third and sixth chukkers, led for the entire game, jumping out to a 3-1 opening chukker and leading 5-2 after four chukkers. 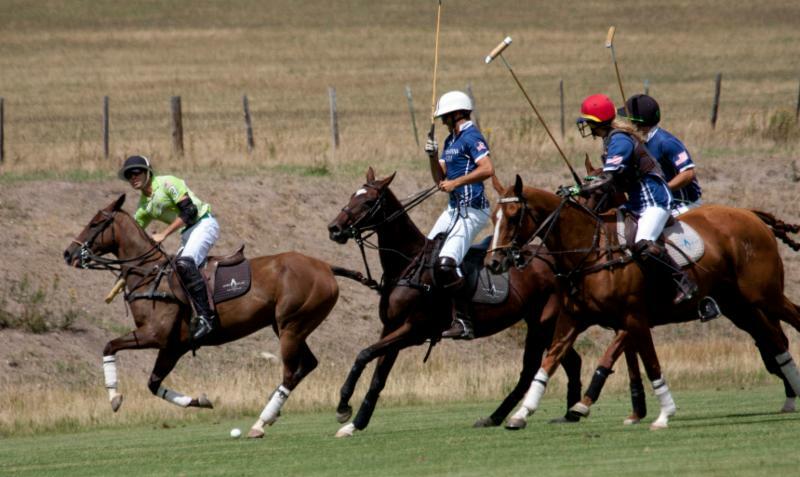 Los Amigos outscored Mandarina, 3-0, in the final chukker but ran out of time to rally. Foster led scoring with three goals and Lalor had two goals. 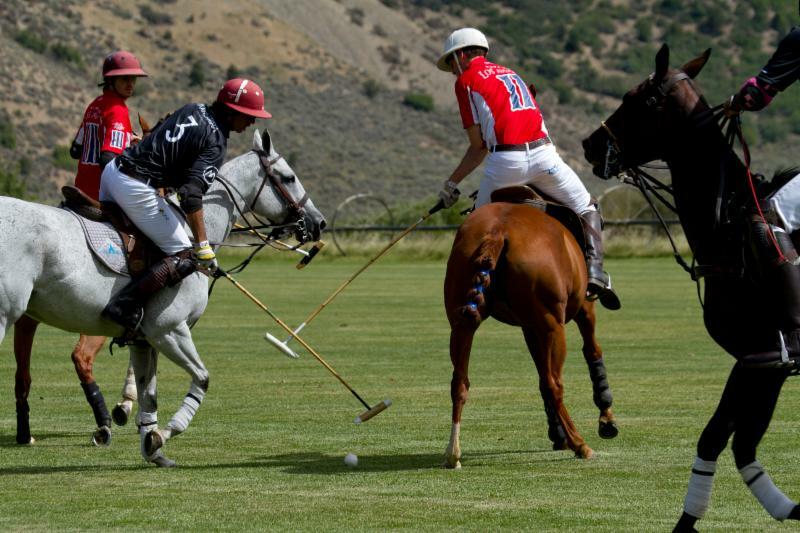 In the second game, Woodrow Farm knocked off La Karina (Alejandra de la Vega, Brian Boyd, Carlitos Gracida, Nacho Novillo Astrada), 8-7, in overtime. Woodrow Farm won in a penalty shootout. Lucas Lalor of Los Amigos hooks Juan Bollini of Mandarina. Marc Ganzi scored a game-high five goals, Vial added two goals and Brecheen had one. Vial and Brecheen converted penalty shots in overtime to clinch the win. Boyd led La Karina with four goals, Novillo Astrada had two and De La Vega added one. 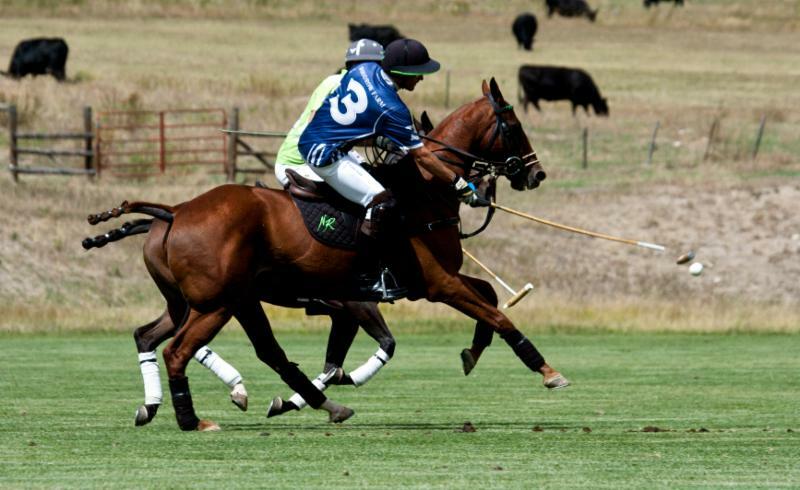 Woodrow Farm led 5-1 at the half before La Karina rallied to shut out Woodrow Farm in the fifth and sixth chukkers, outscoring them 5-1 in the second half to tie the game 6-6 and send it into overtime. 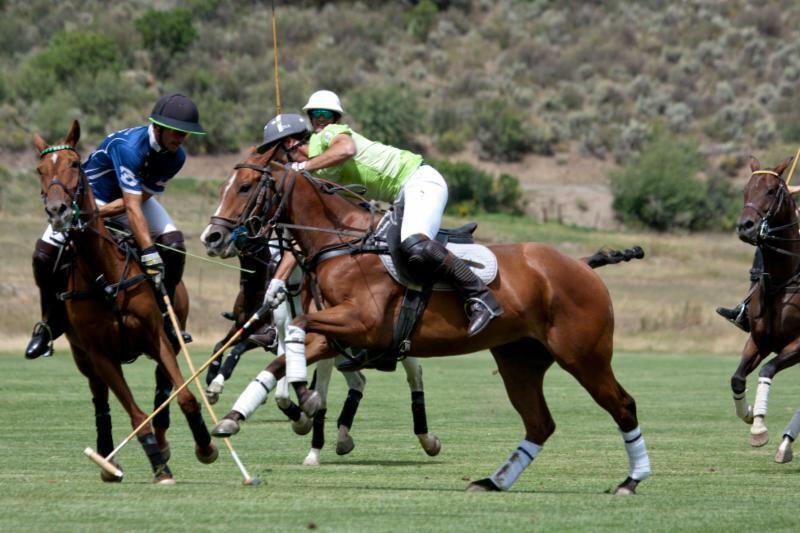 Juan Bollini of Mandarina and Lucas Lalor of Los Amigos both have their eye on the ball. 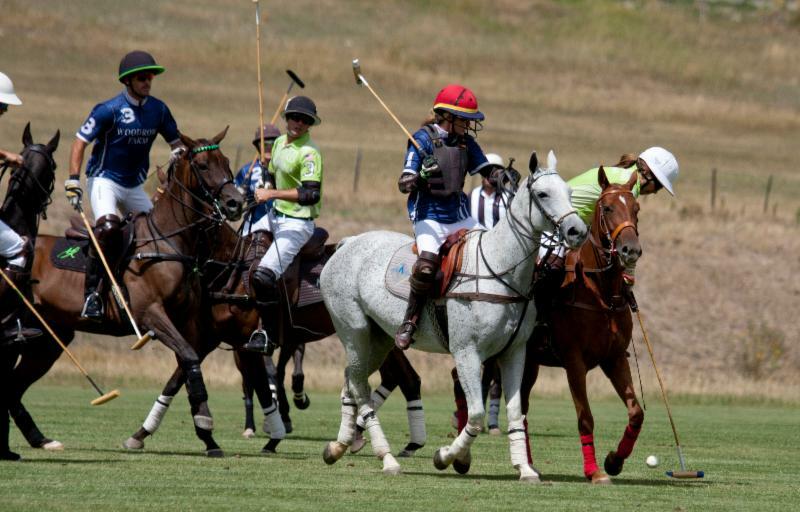 The Just For The Love Of It subsidiary pitting La Karina and Los Amigos, the club's winningest teams this season, will follow the final at 1 p.m.
On Monday at 11 a.m., the Labor Of Love Challenge season-finale will be held on the club's newest polo field. Alejandra de la Vega of La Karina works the nearside shot. 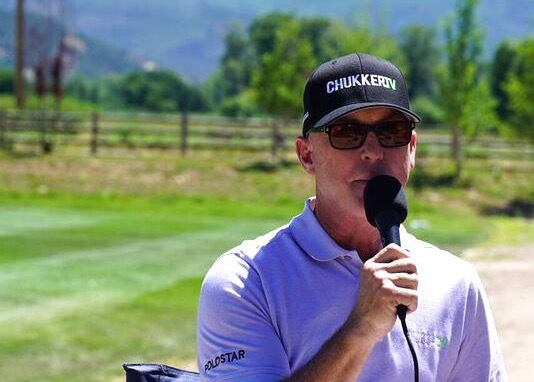 The winning team's name will be inscribed on the trophy and added to an impressive list of teams that feature several top players including Sebastian Merlos, Mike Azzaro, Tommy Biddle, Adam Snow, Nic Roldan, Matias Magrini, Jeff Hall, Mariano Gonzalez, Michel Dorignac and Kris Kampsen, who along with Azzaro and Biddle, won with Team TresHijas. Brian Boyd of La Karina tries to get an offensive drive going. 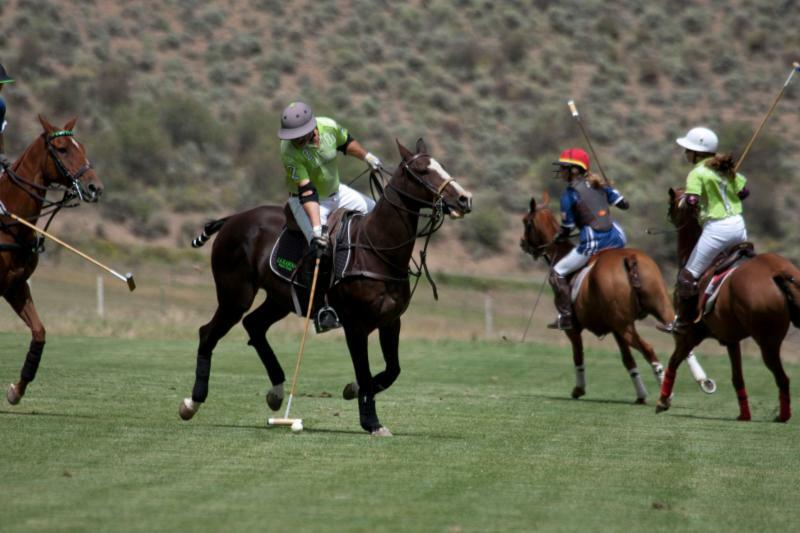 Nic Roldan of Woodrow Farm breaks his mallet after hitting the ball with Alejandra de la Vega defending. 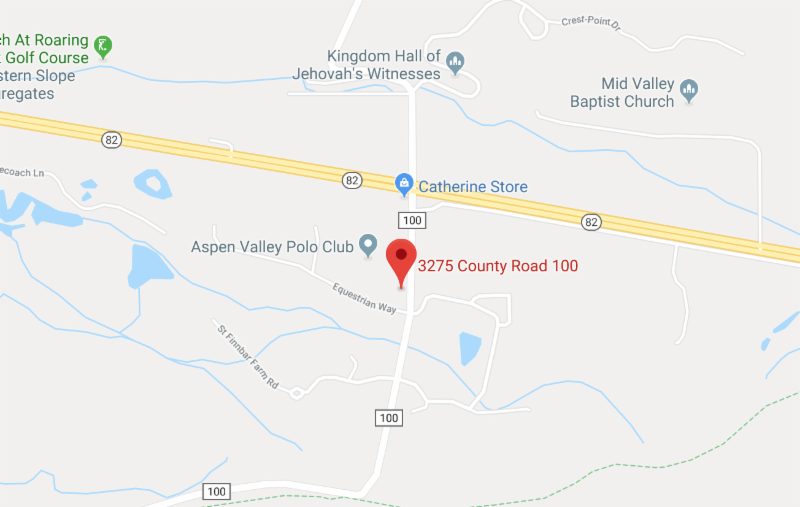 For the eighth and final Sunday, local firefighters and first responders will be honored during AVPC's "Polo Cares" initiative. Every Sunday through Labor Day Weekend, firefighters and their families have been acknowledged on AVPC's featured game day. The club has donation boxes for anyone wishing to contribute to local fire and rescue stations. AVPC is matching all funds collected 100 percent. 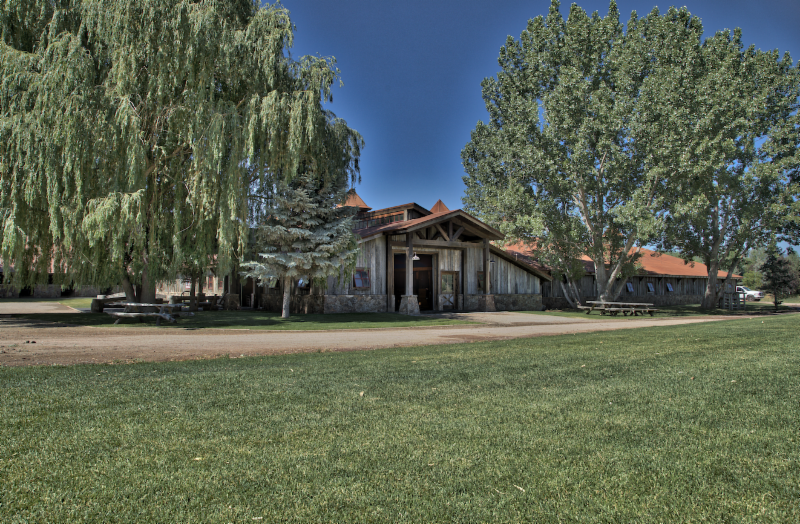 AVPC is showing its appreciation and support of the hundreds of brave men and women who battled the third largest fire in Colorado history. Last summer Casablanca was the club's winningest team with three tournament wins. 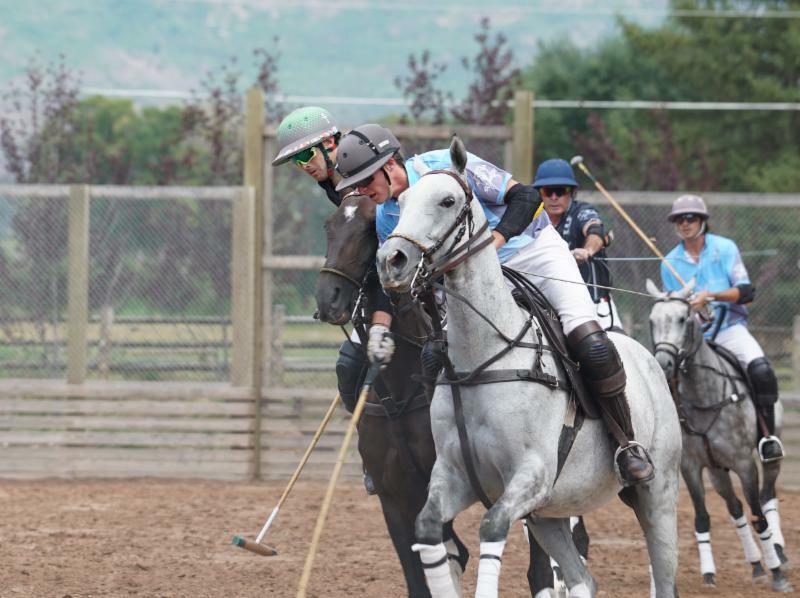 La Karina and Los Amigos each won three tournaments this season. Alejandra de la Vega of La Karina works the ball out of a crowd. 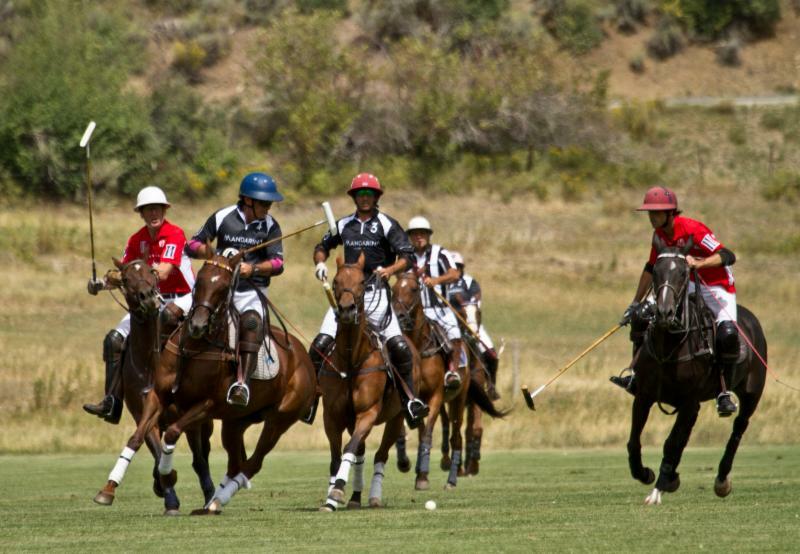 Other grass tournament winners were: Piocho Ranch won the Independence Cup and Craig Sakin Memorial; Los Amigos Blue won the ChukkerTV Challenge; La Karina won the Basalt Handicap, Emma Challenge Cup and Rocky Mountain Cup; Los Amigos Red won the High Alpine Cup; Tonkawa won the Mount Sopris Cup; and Los Amigos won the Carbondale Classic. Carlitos Gracida of La Karina hits a neck shot with three defenders bearing down. 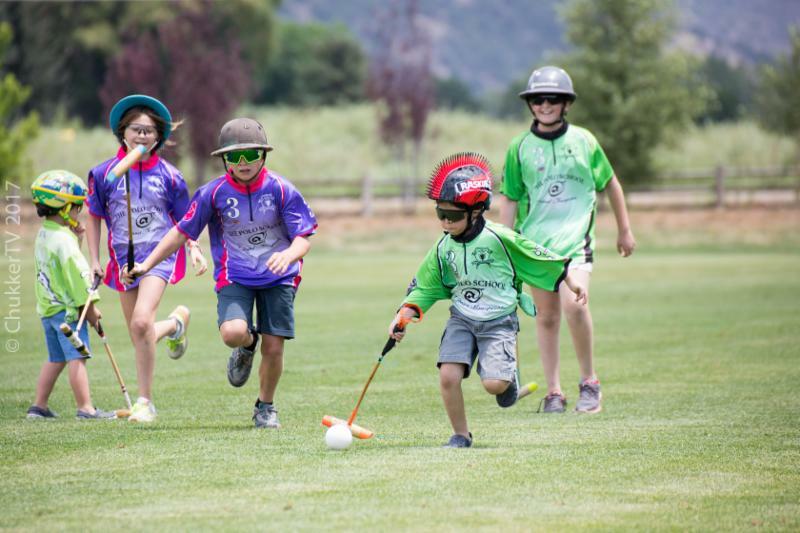 In the last four years, Aspen Valley Polo Club has had a positive impact in the area hosting kids polo camps, teaching lessons and hosting several charitable events at the club that have benefitted local charities including the Aspen Valley Hospital Foundation which raised a record $537,200 this summer. Brian Boyd of La Karina steals the ball. Nacho Novillo Astrada of La Karina battles Nic Roldan for the ball. 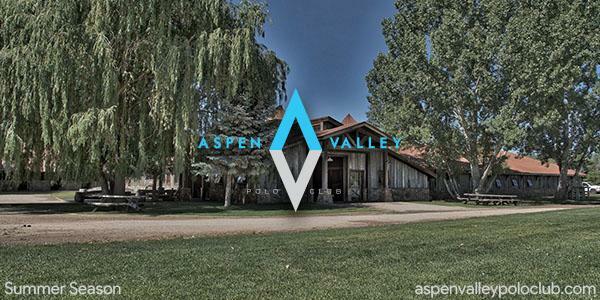 Aspen, named after trees that quiver in the slightest breeze, offers hiking, mountain biking, rafting, fishing, golf, horseback riding, mountain climbing, great restaurants and taverns in addition to a full summer of polo.